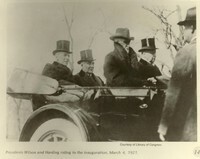 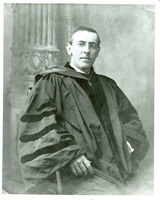 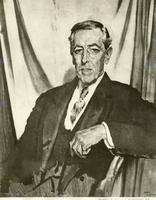 Woodrow Wilson, head-and-shoulders portrait, facing left. 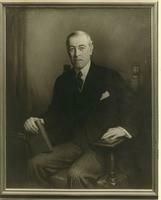 Underneath the photograph it reads, "To his comrades, the officers, crew, and mariners of the USS. 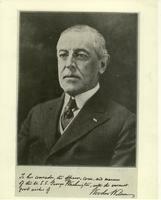 George Washington, with the warmest good wishes of Woodrow Wilson." 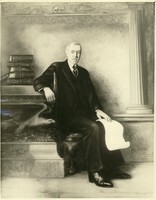 President Wilson, half-length seated portrait, painted by Sir William Orpen, photographed copy by Margo of Beverley Studio, Staunton, Virginia. 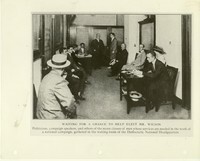 This photo was taken at the start of the League of Nations, which was Woodrow Wilson's final point in his Fourteen Points for Peace.